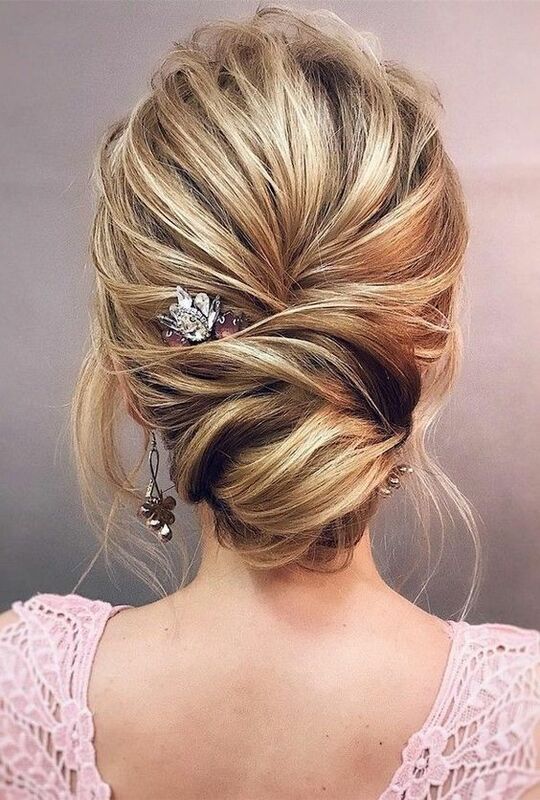 There are many ways to go about styling it, but Romantic Hairstyles For Brides at the end of the day nothing quite compares to the romantic aesthetic for this unforgettable celebration of love you are planning. In this article, we will present our top ten picks in this category. 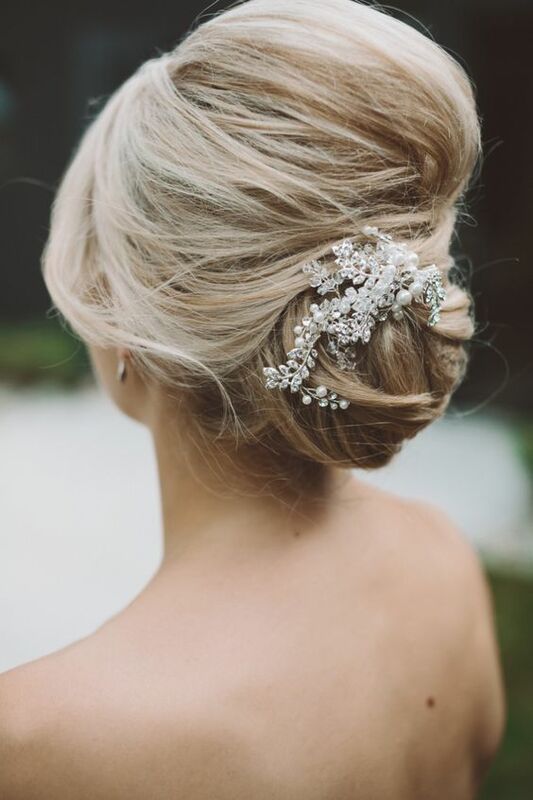 The twisted updo adds a fairytale twist to the classic style that is perfect for your wedding day. What is more, it’s easy to recreate and maintain as well. 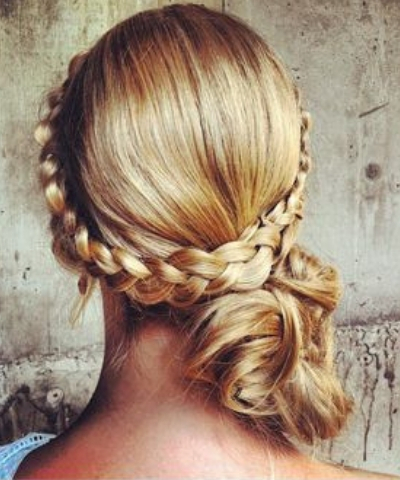 Split your hair into two sections, then twist them into braids and pin them into place. Finish everything off with an adequate amount of hairspray so that you will look stunning all day. When you want something that is elegant, timeless, and romantic while staying frills-free, the wraparound braid is the perfect choice. It looks wonderful on medium to long hair, and it will complement your veil beautifully. For added volume and definition, try plaiting your locks from the inside out, a.k.a. Dutch style. Named after a popular ice cream and pastry dessert, the sweet rolls hairstyle completely deserves its sweet name. It is a delightfully delicate twisted chignon that adorns a retro shape with modern softness for a gracefully starry-eyed finished air. 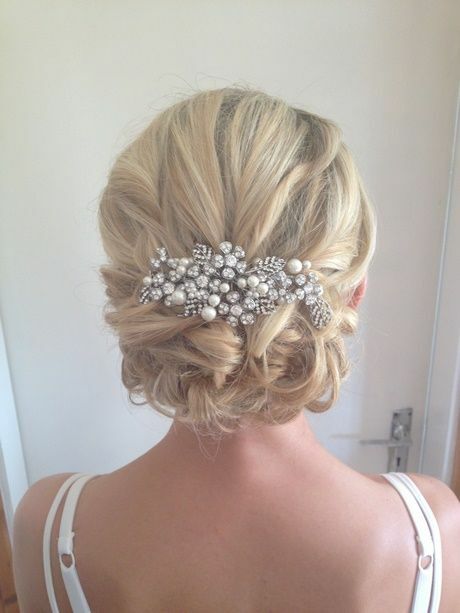 And the best thing about it is that it works with short hair as well, so any bride can give it a try. 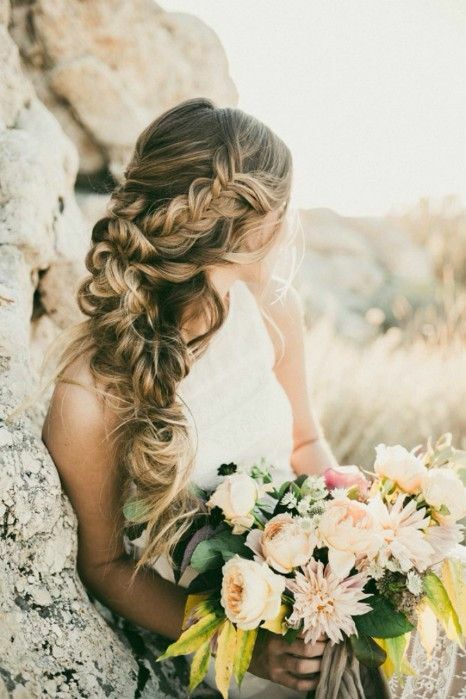 Parting your hair on one side and plaiting it into place is the easiest way to pull off the romantic appearance. Use texturizing spray for volume, and don’t be afraid to leave some strands on the other side fall loose for an extra hint of effortlessness. If you want to make the whole thing more unique, try a fishtail braid instead of a traditional one. Silver screen starlet Brigitte Bardot’s iconic approach to personal style changed the way our society views feminine fashion forever. Among many others, she is widely acknowledged for bringing the choucroute hairstyle, or low beehive, back in style, and ensuring it stays there. If you want to look like film royalty, this can be the ideal look to emulate on your wedding day.